On 06/14/16 at approximately 5:04 AM Douglas County Deputies responded to an assault complaint at the 500 Blk. of West 1st Ave in Waterville. The female complainant reported that she had befriended a subject identified as 24 year old Ashley M. Knight of Chelan. Knight told the victim she was homeless and asked the complainant if she could stay with her for a while. The complaint consented. She then went out for the evening. When the complainant returned home at approximately 4:30 AM, there was an unknown black Durango parked in the driveway. When the complainant entered the house, Knight and an unknown Hispanic male were rummaging through her belongings. When the complainant confront Knight and the Hispanic male, Knight struck her in the jaw with the hammer. Knight and the Hispanic male then fled in the black Durango. The victim refused medical attention and said she would take herself to the doctor. Chelan County Deputies later located Knight in Wenatchee and turned her over to Douglas County Detectives. She was booked into jail for Assault 2nd degree and Burglary 1st degree. 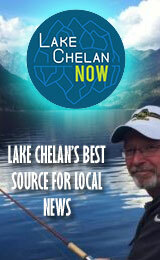 I appreciate the great investigation done by our team and the assistance by our partners in Chelan County. On 06/15/16 at approximately 8:15 PM RiverCom dispatch received a call from a subject who reported a burglar was at her residence and had shot one of her family members. Deputies responded to the scene which was in the 2600 Blk. of 10th St. NE near East Wenatchee. Units from the East Wenatchee Police Department and Washington State Patrol also arrived to assist. They found two injured males at the location. One appeared to have gunshot wounds. The other appeared to have been stabbed and may also have had a gunshot wound. Both were transported to Confluence Hospital. At the time of this release, Douglas County Sheriff’s Deputies, crime scene team members, and detectives are at the scene of the incident and at the hospital working on the investigation. The condition of the two wounded persons is not known. No further information can be released at this time. Additional information will be released as it becomes available. Thus far, the investigation indicates that on 06/15/16 at 8:15 PM RiverCom dispatch received a call from a female who reported that her house was being burglarized and that her father had been shot. When Deputies arrived they found the suspect, later identified as 35 year old Seth Williams of East Wenatchee, and the male homeowner facing each other in the street in front of the residence. The Deputies could see both parties were injured. Williams was subdued. Both men were transported to Confluence Hospital. Williams passed away at about 12:15 AM while in surgery. The victim was released to go home on Thursday morning. Physical evidence, interviews with the victim, and interviews with witnesses revealed that at approximately 8:10 PM the homeowner at the residence noticed a red pickup pull in his driveway. He recognized the driver as Seth Williams. The two had known each other as fellow veterans for about five months. As the victim approached the truck, Williams produced a rifle from inside the vehicle and shot at the victim. The round grazed the front of his chest. The victim, who was armed with a 9 mm pistol, chose to retreat towards the road. The rifle used by Williams had jammed with the first shot. Williams came after the victim carrying a knife and swinging a set of binoculars by the strap. The victim was able to deflect the binoculars, but Williams was able to stab him in the leg with the knife. The victim drew his pistol and shot Williams several times. At this point, law enforcement officials arrived and took custody of Williams and requested medical aid for both men. A related case occurred at 1800 hours that same day when the victim reported a burglary at the residence. Family members spotted a male leaving the a shop area carrying a duffle bag. The male fled in a red pickup. Investigators found a shop window had been broken to gain entry. Williams is suspected to have been the intruder. Additional details are being gathered by investigators. No clear motive has been identified, but Williams may have been struggling with emotional issues. An autopsy has been ordered and additional investigation is being completed. The evidence available suggests the this was a case of self-defense by the victim. Manson's class of 2016 has proven that numbers aren't everything. This small class of graduates showed their stuff at both Senior Awards night and in the commencement exercises this past week. Thirty-one students took in more than 1 million dollars in scholarships and financial awards. 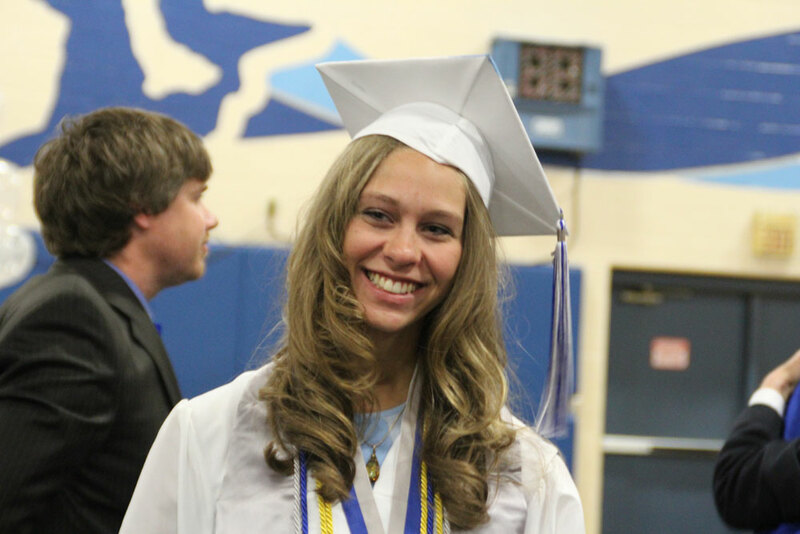 Valedictorian Delacey Machus received State honors ranking in the top 10% of all Washington graduates. Jared Lamar was honored to receive Manson's prestigious Mel Steele award. 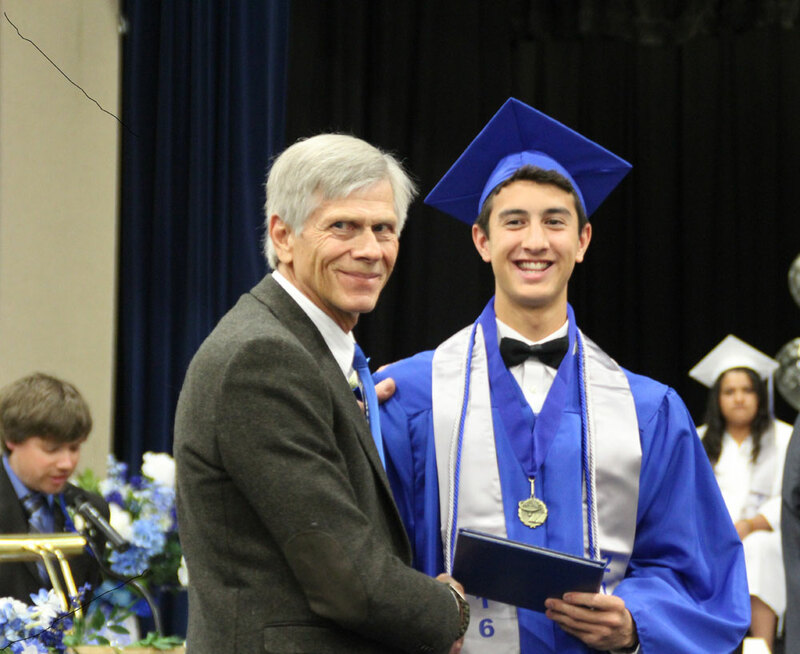 The class was treated with a visit by Congressman Dave Reichert who spoke at graduation. 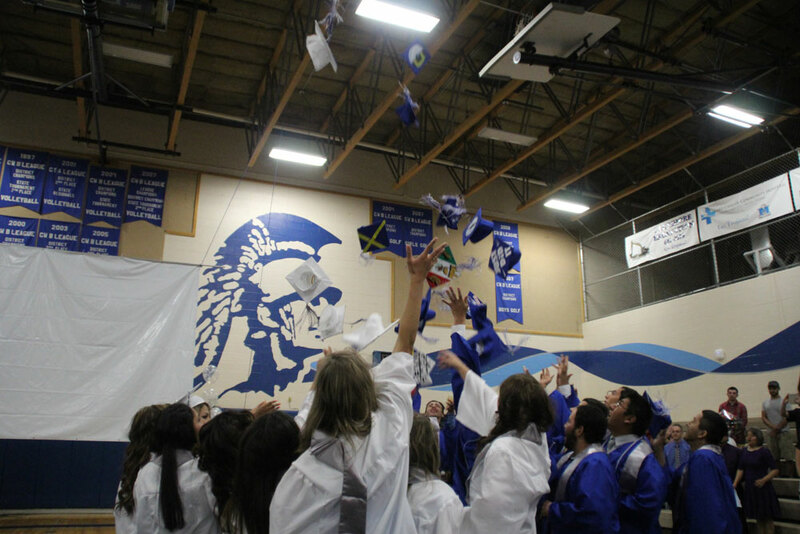 Manson High School would like to thank parents, community, and businesses for all of their fantastic support of this year’s class. Together we said goodbye and good luck to a great group of seniors. Sheriff Brian Burnett is proud to announce the release of a new mobile app, MyAlerts, powered by AlertSense, the county’s new emergency alerting service. Chelan County residents and visitors can now receive life-saving emergency alerts and advance warning of severe weather directly on their Android or Apple iOS phone or tablet. You can download the free MyAlerts app from the Google Play Store or the App Store. Below is a list of the type of alerts you can choose to receive. Receive advanced warning of severe weather when you or one of your locations is in the direct path of a storm. AlertSense automatically interprets the geographic area affected, and delivers targeted alerts immediately to app users when one of their locations falls within the impacted area. Receive emergency alerts from public safety alerting authorities, notifying you of situations that threaten the safety of yourself or those that you care about. Public safety alerts include events such as crime, active shooter, imminent danger, hazardous materials, wildfire, floods and the need for immediate evacuation. You can also choose to receive notifications of events in your community that, while not life-threatening emergencies, still impact your daily life and commute, such as road closures and power outages. This program is strictly voluntary. These alerts are provided free of charge, however standard text messaging rates and other charges may apply. OLYMPIA – Applications are now being accepted for state-funded grants and loans for projects that improve freight rail services in Washington. Funds will be available in July 2017. Railroads, port districts, rail districts, private companies and local governments are eligible to apply for part of $12.04 million in grants and loans available through two programs administered through the Washington State Department of Transportation. The programs help freight rail systems that create family-wage jobs as well as improve overall freight mobility.The Freight Rail Investment Bank provides loans to small public projects. The investment bank has $5 million available in loans. Meanwhile, the Freight Rail Assistance Program provides grants to both public and private projects, specifically projects strategically important to local communities and the state. This program has $7.04 million available for grants, a portion of which comes from the Connecting Washington revenue package passed by the state Legislature. Projects selected for funding will best demonstrate how freight rail shipping eases congestion on busy highways, reduces wear and tear on state roads, strengthens the state’s economy through domestic and international trade, and reduces greenhouse gas emissions.Applications for both programs are due Friday, July 15. Sheriff Burnett has identified the missing Aasgard hiker as 24 year old Qi He. Mr. He is a Chinese citizen who was living and working as a Student/Intern in the Seattle area. With assistance from local Immigration and Customs Enforcement Agents, the Chinese Embassy and Mr. He’s employer, his family was notified of the incident. The active search for the missing hiker on Aasgard Pass has been suspended for now. The Chelan County Sheriff’s Office Search and Rescue unit will monitor the weather conditions and snowpack levels with the intention to resume an organized recovery effort in the future. The Chelan County Sheriff’s Office has identified the missing hiker as a 24 year old male from the Seattle area. The release of his name is being withheld pending next of kin notification. As of 1:00 p.m. today Chelan County Sheriff’s Office Search and Rescue Unit has suspended their search efforts to locate the missing hiker. Ground units located the waterfall hole were the missing hiker entered. Search crews entered approximately 40 feet into the hole, but the missing hiker was not located. The area searched is filled with fast moving water and is covered by several feet of snow and ice. Search crews could not check beyond the 40 feet because of the hazardous conditions and safety concerns. Ground crews believe the hiker was swept a lengthy distance downstream from the location he entered. The stream ultimately enters into Colchuck Lake. Chelan County Search and Rescue crews and Chelan County Detectives are still trying to identify the missing hiker. We currently do not have any updated information on his identity. On June 5 shortly before 10:00pm Sheriff Brian Burnett reports a group of individuals were glissading down the snow on Asgaard Pass. One of the subjects, who was in front of the others, slid over the edge of a waterfall hole and into rushing water. The current water flow is heavy and leads underneath the snow. The Sheriff’s Office requested assistance from the U.S. Navy, who provide a helicopter with FLIR capabilities to search for the individual. The Navy searched without success and then returned to their base. The Sheriff’s Office Search and Rescue unit is currently inserting ground rescue members in an attempt to locate the individual. The Sheriff’s Office only has a first name of the missing subject, which has not been verified. The only confirmed information we currently have is the missing subject is a male and approximately 24 years of age. The group had just met each other the previous day. “Glissading” is described as sliding down a steep slope of snow or ice with the support of an ice axe. Additional information will be released as it is gathered. On 06/03/16 Douglas County Deputies worked with the Brewster Police Department to develop information regarding a suspected methamphetamine dealer who lived in Bridgeport. Deputies applied for and were granted a search warrant for a residence in a trailer court at 929 Maple St.
Deputies discovered approximately 9.6 grams of suspected methamphetamine which appeared to be packaged for sale. Also seized was a scale typically used for that type of criminal endeavor. Deputies arrested 36 year old Nabor Navarrete of Bridgeport for Possession of Methamphetamine with Intent to Deliver. He was transported and booked at the Okanogan County Jail without incident or injury. Great work by the Deputies and BPD officer. Sheriff Brian Burnett reports two overdue climbers were located late Thursday evening near the base of Asgaard Pass in the Colchuck Lake area of west Chelan County. At 3:00pm on Thursday Search & Rescue coordinators received information from family members that a 17 year old male and 19 year old male were overdue returning to the Seattle area after a planned climb of Dragontail Peak. The subjects had driven to the Stuart Lake trailhead late Tuesday evening and planned to camp near Colchuck Lake and then summit the peak on Wednesday. They were expected to return home by late Wednesday night or Thursday morning. Family, friends, and employers had not heard from either subject. A vehicle belonging to the 17 year old was located at the Stuart Lake trailhead Thursday afternoon. A two-man search team consisting of one Sheriff¡¦s Office SAR deputy and one Chelan County Mountain Rescue member deployed from the trailhead to Colchuck Lake on Thursday evening to conduct an initial check of the area for the subjects. At 11:14pm SAR command was advised by the search team that they had located the two subjects descending Asgaard Pass (which runs between Colchuck Peak and Dragontail). Christian Junkar (19yoa) and his 17 year old friend (both from Seattle) advised they experienced complications in their climb shortly after beginning the ascent along the "Backbone" route of Dragontail Peak Wednesday morning. At one point, a climbing pack containing food, water, hiking boots and other survival essentials had fallen off rope and was lost. As the subjects continued their climb on Wednesday afternoon, they encountered rain, sleet, cold temperatures, and strong winds further hampered their effort. Both became hypothermic and had little ability to establish a shelter on the mountain. Eventually, the subjects were able to descend down to Asgaard Pass on Thursday morning and eventually make it back to Colchuck Lake where they were contacted by the rescuers that evening. Junkar had minimal feeling in both of his feet due to hypothermia and initial stages of frostbite. He had to descend the mountain in the snow only wearing light climbing shoes due to his boots being in the pack that was lost Wednesday morning. The 17 year old suffered initial frostbite to the fingers on both hands. Both subjects were dehydrated, cold and hungry. The search and rescue team stabilized the subjects at Colchuck Lake and established a camp with them Thursday night while requesting a helicopter extraction for both on Friday. 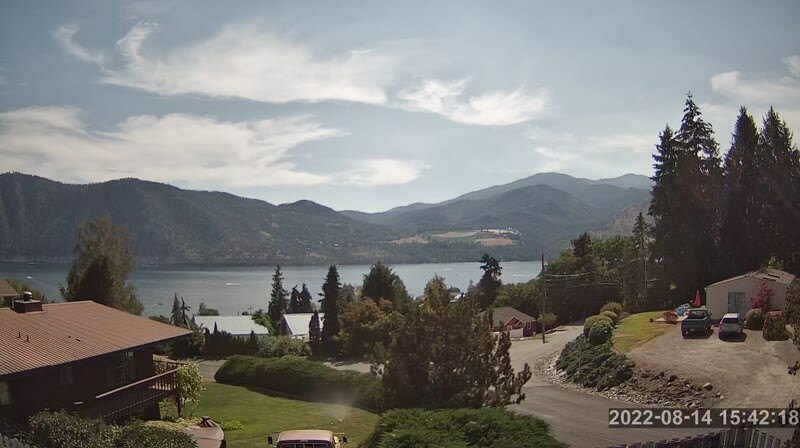 The Chelan County Sheriff¡¦s Office helicopter "AIR-30" responded early Friday morning and transported both subjects to the Leavenworth Fish Hatchery helipad. They were then taken to Cascade Medical Center via ambulance. Both subjects were treated and released on Friday. Sheriff Brian Burnett reports on 05/31/2016 a Middle School Student reported being contacted by a suspicious male while walking home from school. The male was described as being a Caucasian man between 50 and 60 years old, balding with hair on the sides of his head. The male was driving a small teal colored SUV. The male asked the student if he needed a ride home. The student declined and the male drove away. The student’s decision to decline the male’s offer may well have prevented a tragedy. We encourage parents to talk with their children and whenever possible have them walk with others and never approach a vehicle they do not recognize. Children should be encouraged to report any suspicious contacts to their parents, school officials, or law enforcement. Editor note: When I was a kid we had a special password in case there really was a reason for a stranger to come and get you.